Target: $89 Worth of Minecraft Legos for Just $44! 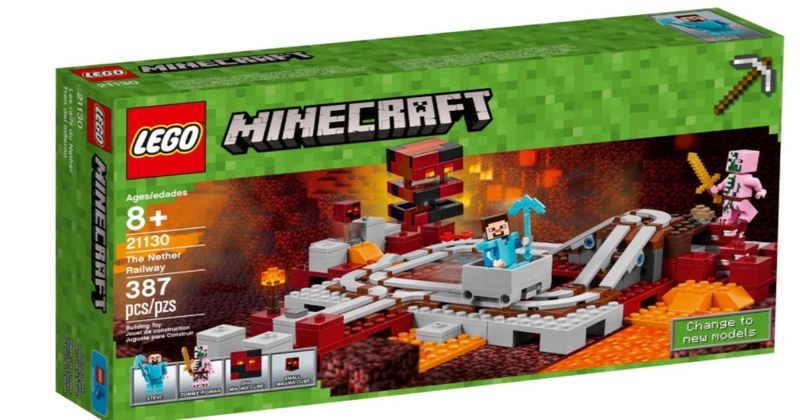 The LEGO Minecraft The Nether Railway is still on sale online at Target for $16.99 (regularly $29.99). Even better, Target is offering a FREE $10 gift card when you spend $50 on select LEGO toys! Consider also buying the LEGO Minecraft The Nether Portal also on sale for $23.99 (regularly $39.99), and the LEGO Minecraft The Chicken Coop on sale for $15.99 (regularly $19.99). If you purchase all three sets, the total is $56.97 (regularly) $89.97. Minus the $10 gift card, and additional 5% off with your target REDcard takes another $2.35 off, which equals just $44.62!